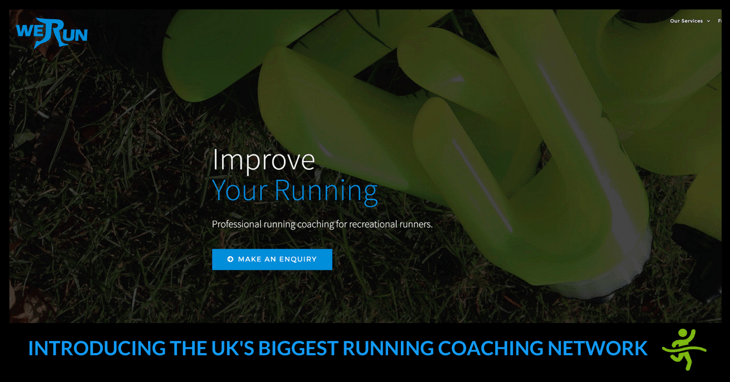 Introducing the biggest network providing running coaching in the UK. Discover the services it offers and how personalised coaching can improve your running. We Run is the biggest network providing running coaching in the UK. In this week’s episode we interview John White, the Director. They all have UK Athletics running qualifications and the necessary insurance cover. Runner’s MOT (warming up and cooling down, stretching, a head-to-toe running technique makeover, recommendations for doing speed training and a written report). Benefits of warming up and cooling down properly. Increasing awareness that running is a technical activity that can be improved. Mental strategies such as seeking accountability and having training buddies. Benefits from getting personalised one-to-one coaching. Dangers of following free training plans downloaded online. Rewards from educating runners and getting their feedback. Challenges involved in getting the running market to value specialist coaching services. Running mindsets that benefit most from coaching. 00.31 Why choose running coach over a personal trainer? 01.29 What do runners get from coaching that they can’t get from their own research? 03.16 What type of runner benefits most from coaching? 04.14 What are the biggest mistakes you see runners making before being coached? 07.56 What single piece of advice would you give to runners looking to improve? 09.36 How did We-Run get up and running? 14.36 What was your biggest challenge setting We-Run up? 17.11 Would you have done anything differently? 18.10 What do runners get with We-Run coaching that they can’t find in clubs? 20.04 What do you find is the most popular form of coaching? 23.21 What do you enjoy most about running the coaching network? 24.18 What’s your current single biggest challenge? 27.00 Are there any plans to offer online or even in-person coaching internationally? 28.15 What are your immediate plans for taking the service forward? 29.04 Who would be the typical runner that We-Run can help the most? 32.34 Are there many female coaches? 32.57 Where can viewers go to find out more about what you offer? Please share your experiences of running coaching in the UK and beyond in the comments below.